The daughter of imprisoned U.S. citizen Pastor Andrew Brunson in Turkey told the United Nations Human Rights Council that the terror allegations against her father are "absurd," as she shared a letter from him who said his only crime is being a "Christian pastor." Jacqueline Brunson, speaking on behalf of the European Center for Law and Justice in Geneva on Friday, told the Council that her father has been wrongfully imprisoned for close to a year and a half, but is yet to be formally charged. "Turkey should not get away with holding my father one more day," she maintained, urging the U.N. to do all it can to help see him get released and returned to America. "Having grown up in Turkey, it has been hard for me to understand the situation. My family loves and respects the Turkish people, and my father has been dedicated to serving them for over two decades," she said. "I know the allegations against my father are absurd. He is not an armed terrorist trying to overthrow any government, my father is a peaceful pastor. My family has suffered greatly during the past year and a half, which has been filled with tears, and countless unanswered questions." 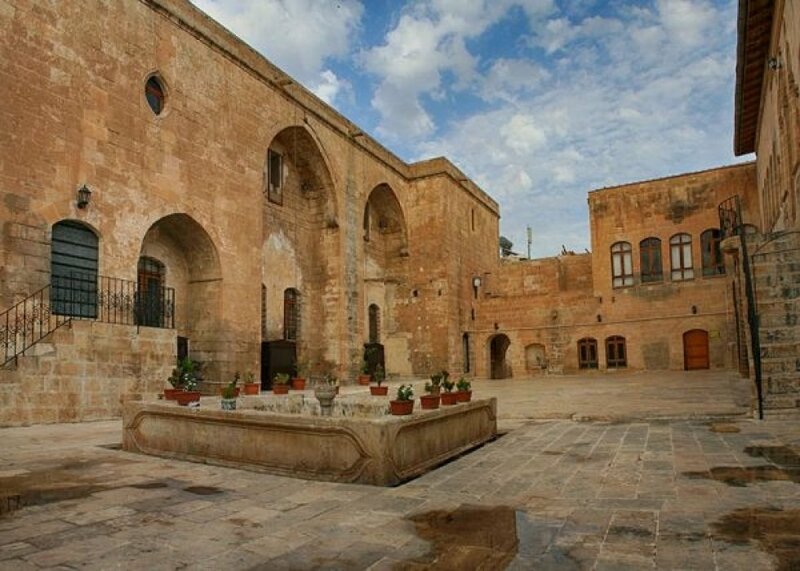 Yet another example of intolerance has taken place in the southeastern Turkish city of Sanliurfa (Urfa)—the historic Assyrian Church of St. Peter and St. Paul in the city is now being used as a municipality-owned cultural center and the foundation of the Islamic school of Harran University. According to sources, the church was used actively until 1924, when Assyrians (Syriac Christians) left for Aleppo. 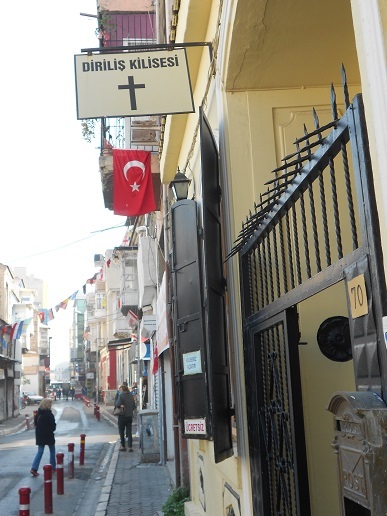 Locals call the church “the Regie Church”, because Tekel, the Turkish tobacco and alcoholic beverage company, had once used it as a tobacco factory. This tobacco factory had been known as the Regie Tobacco Company in Ottoman times, and was nationalized in 1925. It was also used as a grape storehouse for decades. After its restoration in 1998, it hosted a carpet-making class. In 2002, it became the “Kemalettin Gazezoglu Cultural Center,” named after the governor of the city. Today, a part of it has been given to a foundation that runs the Islamic school at the city’s university. Turkey has used the historic church for many different purposes—except for its intended purpose: a church. The American Center for Law and Justice, which is defending Brunson, said the claims are simply trumped up. Brunson unsuccessfully appealed his detention. ACLJ said another appeal to a higher court is allowed, but it is uncertain how that appeal process will go. Previously, the legal group said, Brunson was denied access to his Turkish attorney. “Now, he is allowed visits with his Turkish attorney – however, due to an emergency decree in Turkey, those visits are recorded and any notes taken by his attorney are copied. Thus, Pastor Andrew has no attorney-client privilege,” ACLJ said. “Yesterday, Pastor Andrew was allowed a visit with family. During that visit, Pastor Andrew indicated that, while he had been previously denied a Bible, he is now allowed to have a New Testament. Pastor Andrew also has a visit with U.S. Embassy officials scheduled for tomorrow. “We are continuing our diplomatic efforts to engage the incoming U.S. administration, and moving forward with an appeal of his case,” ACLJ said. The family of a U.S pastor imprisoned in Turkey launched a campaign Wednesday for his release, saying the North Carolina native is being held on false terrorism-related charges and that his life is in danger. Andrew Brunson, 48, pastor of a Protestant church in Izmir, was locked up Friday after first being detained in October. The government accuses him of having ties to an American-based cleric, Fetullah Gulen, who Ankara blames for a July coup attempt. "The government of Turkey -- led by an Islamic party -- has begun increased crackdowns on Christians, and Pastor Andrew, if convicted, may face years in prison based on extremely serious -- and false -- charges," said Jordan Sekulow, executive director of the American Center for Law and Justice, which is representing Brunson's family. Brunson and his wife, Norine -- originally from Black Mountain, N.C. -- have lived in Turkey for 23 years, running a Christian church with the full knowledge of local authorities, according to the ACLJ. On Wednesday, after weeks of silence, the family called the charges against Brunson "unfounded" and "shocking" and demanded his immediate release. "Andrew’s strong faith has always been at the center of his life and that has never been more evident than his pastorship in Turkey," his family said in a statement. "His love and concern for the people of Turkey is unmistakable, as he has dedicated 23 years of his life serving them." Brunson was summoned to a local police station in Izmir on Oct. 7. According to the family, Brunson, a U.S. citizen, thought he would be receiving a long-awaited permanent residence card. Instead, Brunson was told he was being deported because he was a "threat to national security." Brunson was arrested and fingerprinted while awaiting deportation. Officials confiscated personal items, including his phone, and denied him access to a Bible. They also prevented him from consulting an attorney and kept him in isolation for a period of time. But Brunson's ordeal would soon take a dark turn. On Friday, after 63 days in captivity, Brunson was taken to a counter-terrorism center in Izmir. After further questioning, he was charged with "membership in an armed terrorist organization," and a judge ordered he be imprisoned instead of deported. Lawyers for the ACLJ told FoxNews.com Wednesday that the charging documents include no evidence to support claims the man broke any law. If convicted of such terrorism charges, Brunson could face years of imprisonment. "We are launching a global campaign to call attention to his plight demanding that Turkey – a NATO member – release Pastor Andrew without delay," Sekulow said. The family said the U.S. State Department as well as a member of Congress have been quietly negotiating his release over the last several weeks. "We have seen reports of U.S. citizens in Turkey being detained and deported," a U.S. State Department official told FoxNews.com Tuesday, though the official did not mention Brunson by name, citing privacy concerns." "The Department of State takes its obligation to assist U.S. citizens arrested abroad seriously. When a U.S. citizen is detained overseas, we seek to visit as soon as possible and to provide appropriate consular services," the official said. The Brunsons, with help from the ACLJ, launched a global campaign Wednesday to raise awareness of the pastor's plight and pressure the U.S. government as well as the United Nations and NATO countries to act on his behalf. Turkey is a member of NATO. An online petition is also being circulated to help secure Brunson's release. Christians have expressed concern about the plight of American Christians Andrew Brunson and his wife Norine who were detained in Turkey earlier this month on charges that friends linked to their church work. Turkish officials arrested and detained the couple on October 7 in the coastal city of Izmir saying their activities constituted “national security risks”," explained advocacy group Voice of the Persecuted (VOP). The couple had been been living in Turkey for 23 years, running a church with "the full knowledge of the local authorities," the group added in a statement obtained by BosNewsLife. "They were summoned to the police department on Friday, October 7, for what they assumed would be questions about their recent residency application. Upon their arrival they were presented with a letter from Ankara labeling them a threat to national security and ordering their deportation." The couple was "immediately detained, their phones were confiscated, and they were completely isolated from the outside world," VOP said. Turkish authorities reportedly denied repeated requests from their lawyers, the United States State Department, and friends to see them or communicate with them in any way. The couple was also "explicitly forbidden from having a Bible, and were not allowed to receive books or any change of clothes. Andrew’s glasses and watch were taken away," stressed VOP, which closely monitors the case. "They were told that their government had forgotten about them and that “hopefully” they would be deported, suggesting that they might simply disappear and never be heard from again." While Norine Brunson was released after 12 days on October 19 and verbally told that all charges against her were dropped, a lawyer apparently told her that it is almost certainly "not true given that nothing was put in writing." She was allowed to see her husband for half an hour on October 20, but was denied any access the next day, Christians said. Besides with his wife, Andrew Brunson has had no contact with the outside world since his detention, according to VOP. "Norine and Andrew explicitly waived their right to protest the deportation, and yet there has been no deportation to date." Rights activists said Turkey violates the right to legal counsel is guaranteed under Turkish law, and the right of the US State Department to visit detained American citizens as guaranteed by the Vienna Convention on Consular Relations, which Turkey has ratified.